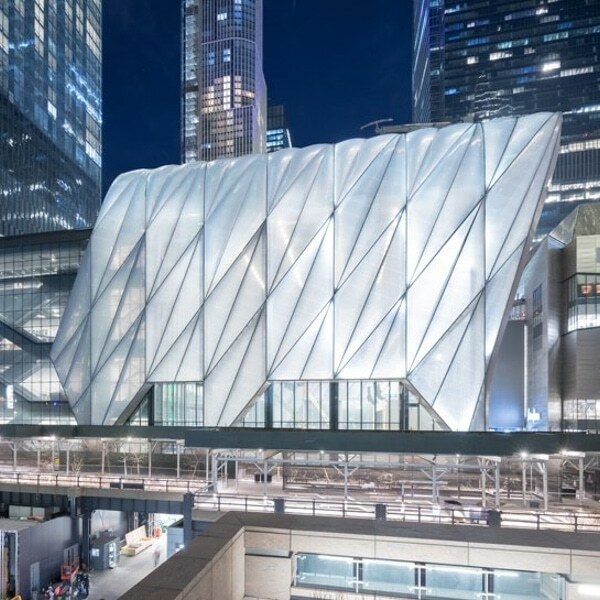 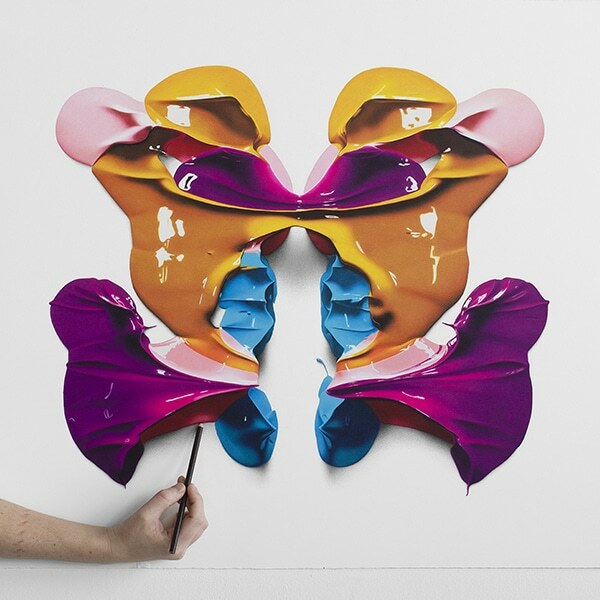 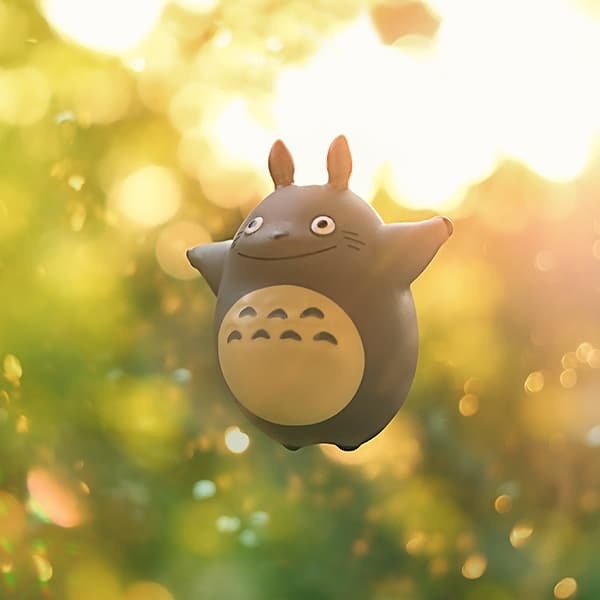 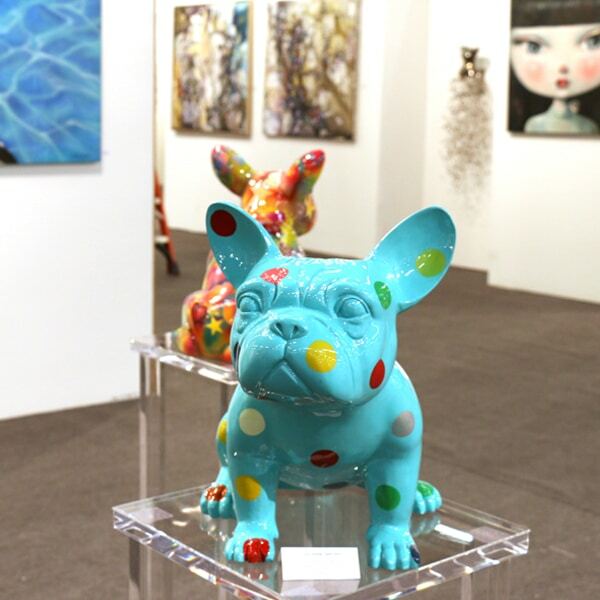 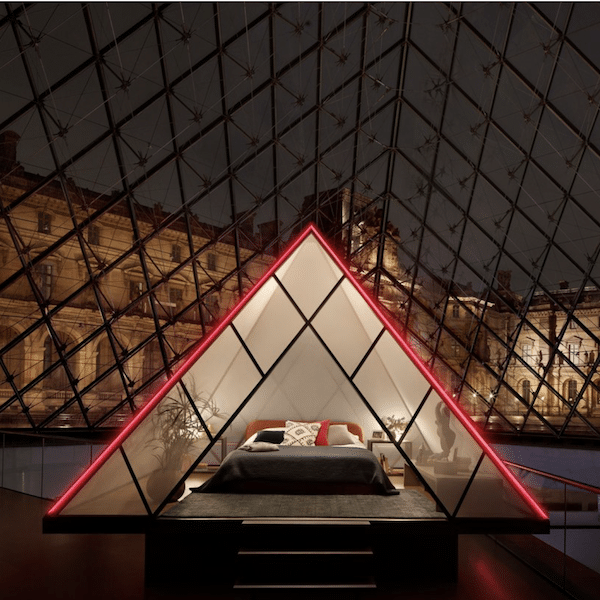 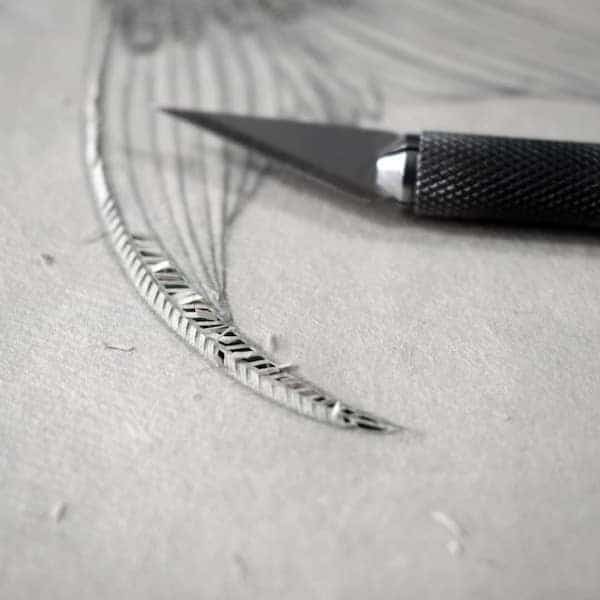 As an age-old artistic medium, paper remains a key player in contemporary art. 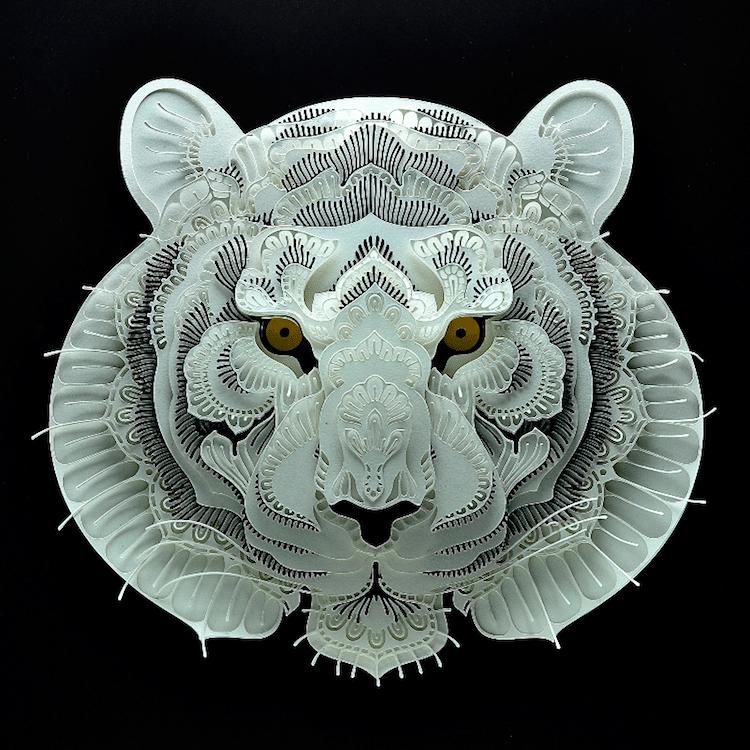 From folded forms to colossal installations, paper art continues to inspire artists today. 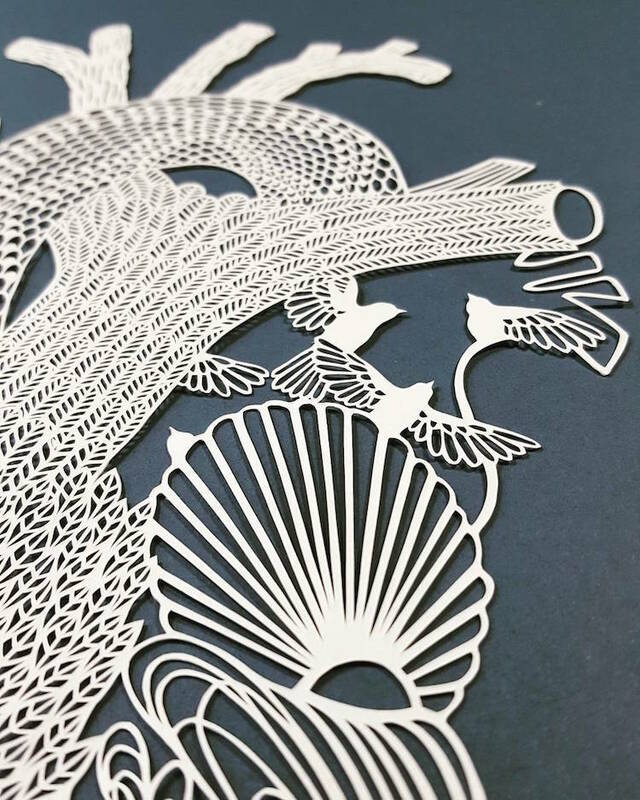 One practice that has become particularly popular is paper cutting, a genre defined by its inventive and intricate cuts. 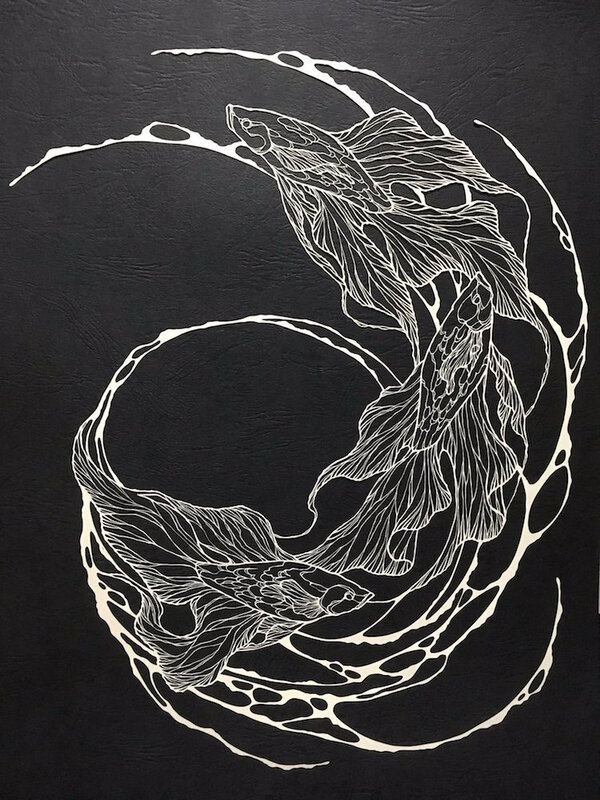 While, today, many artists explore the cut paper practice, some stand out among the rest—like Vanshika Agarwala, who transforms entire sheets of paper into patterned masterpieces or Patrick Cabral, whose delicate animal portraits add a touch of dimensionality to the 2D medium. 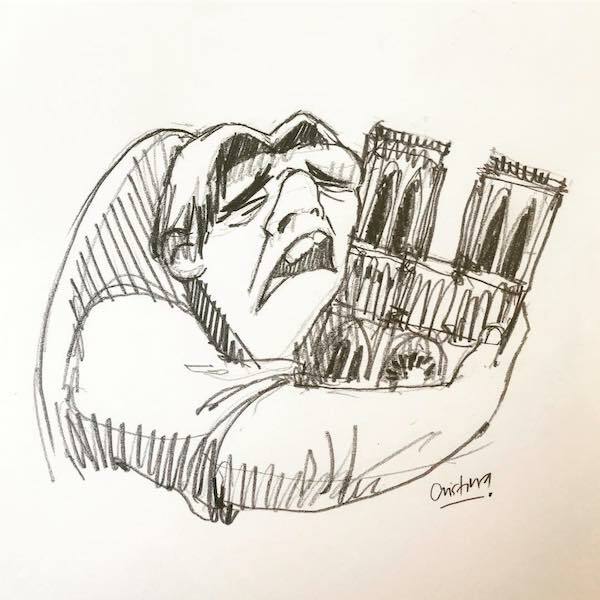 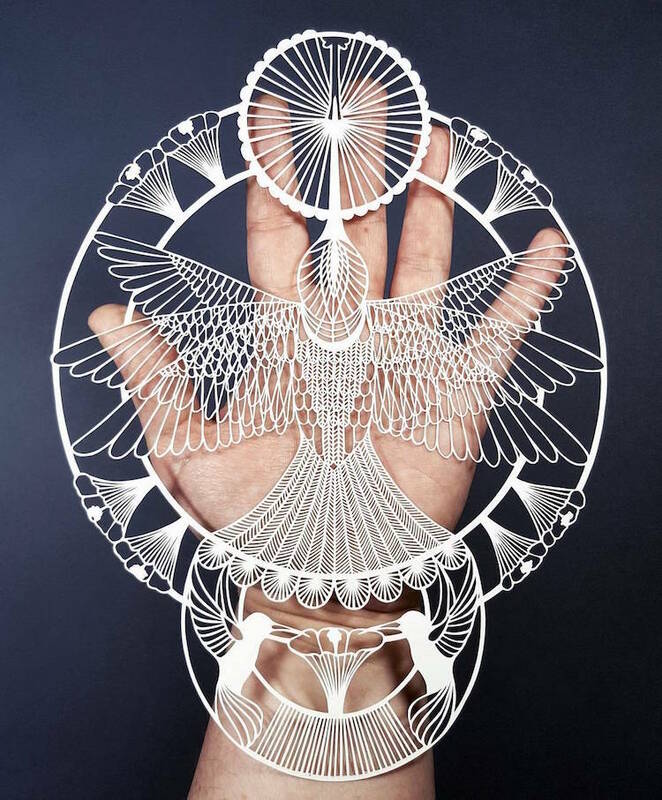 Whether they’re using a simple pair of scissors or employing an arsenal of X-ACTO knives, these artists prove the endless possibilities provided by the humble piece of paper—one snip at a time. 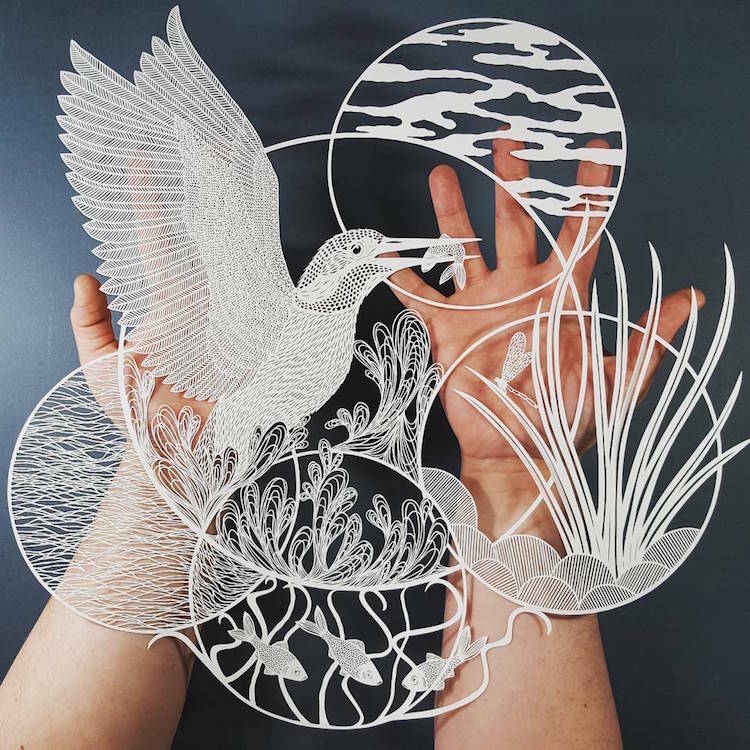 Here, we look at some of the best contemporary paper cutting artists. 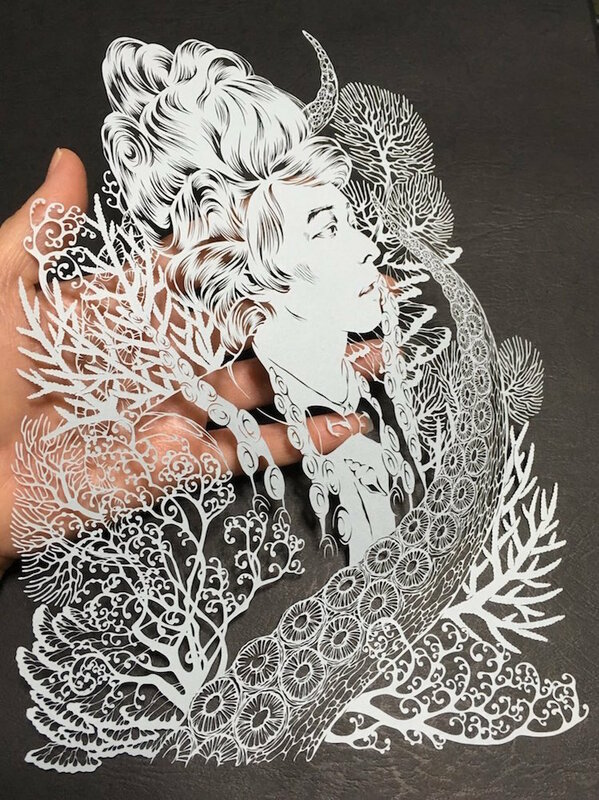 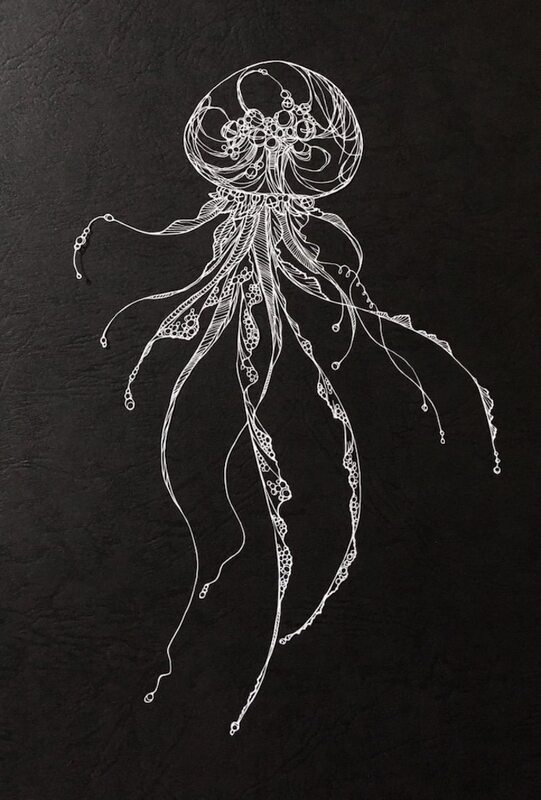 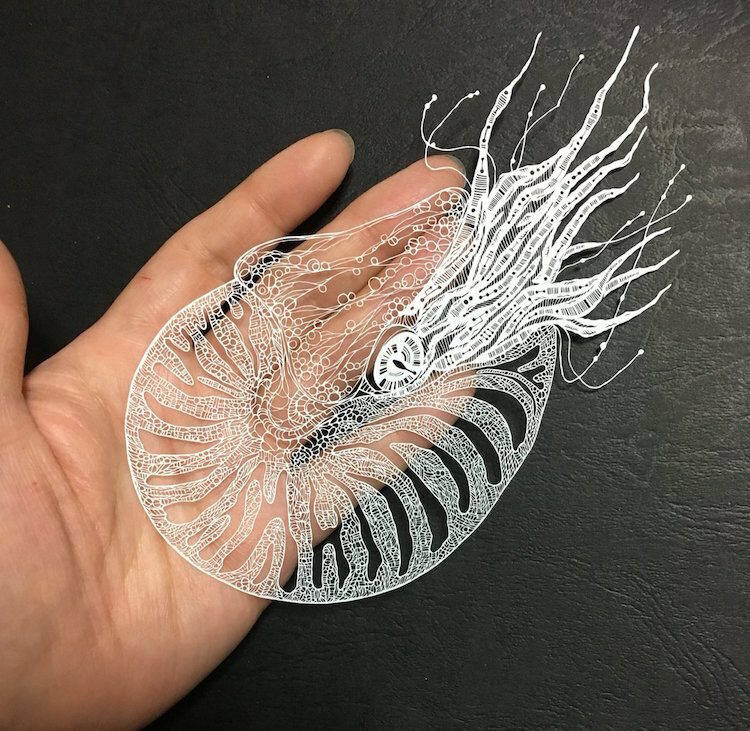 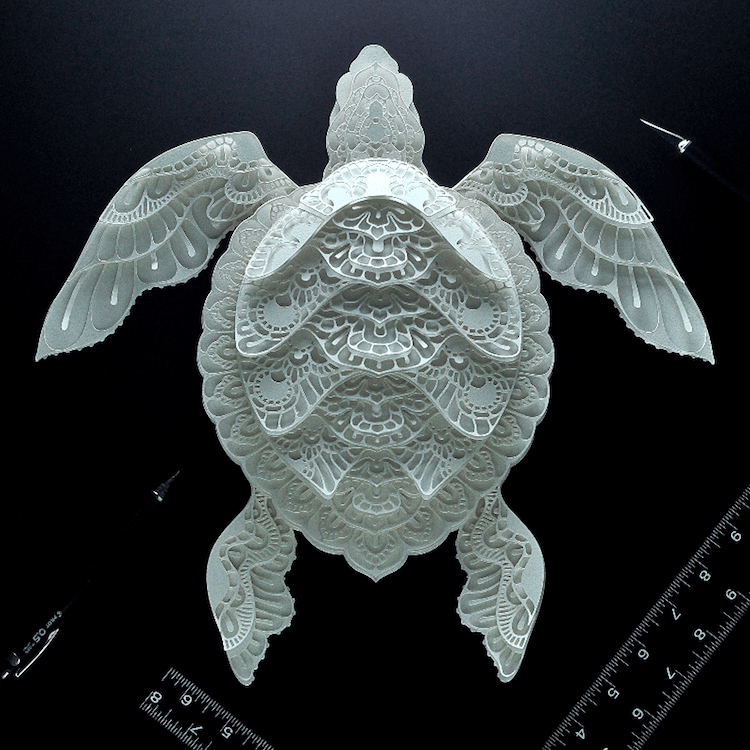 Aptly known as “Cutting Sword,” Japanese artist Kiri Ken creates exquisite cut-outs ranging from elegant sea creatures to expressive portraits. 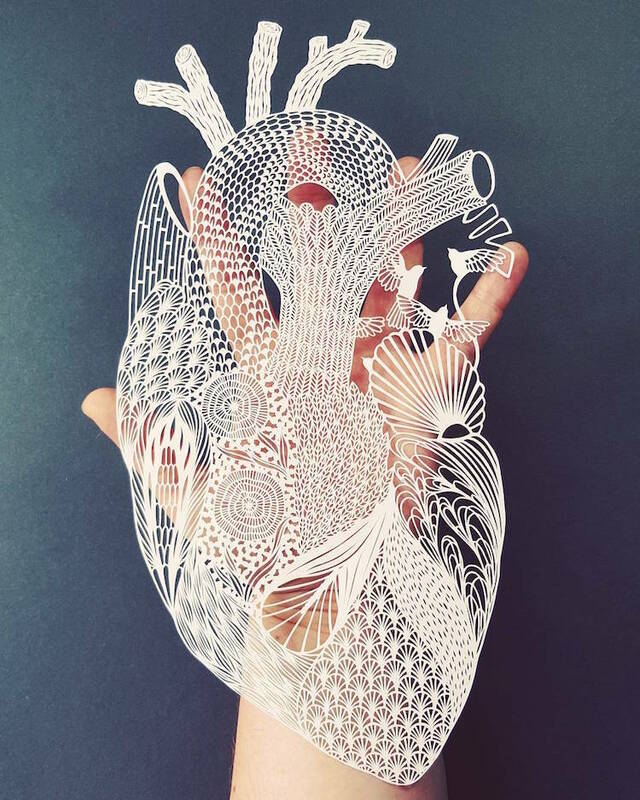 Undoubtedly inspired by inked illustrations, his paper art exhibits the fine lines and minute details typically found in drawings. 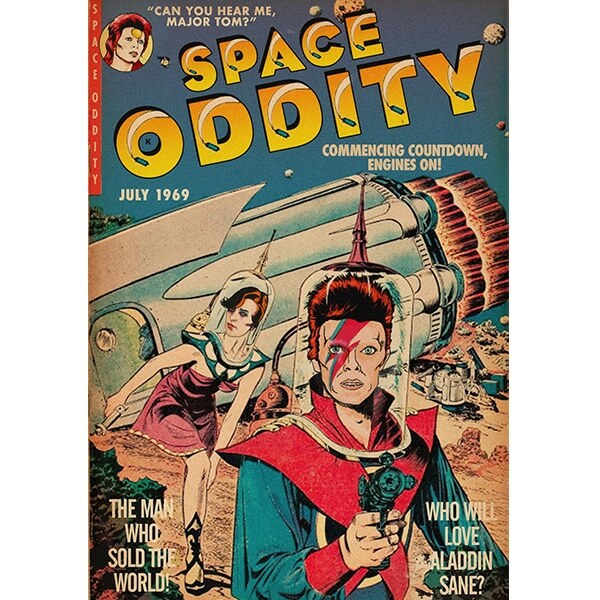 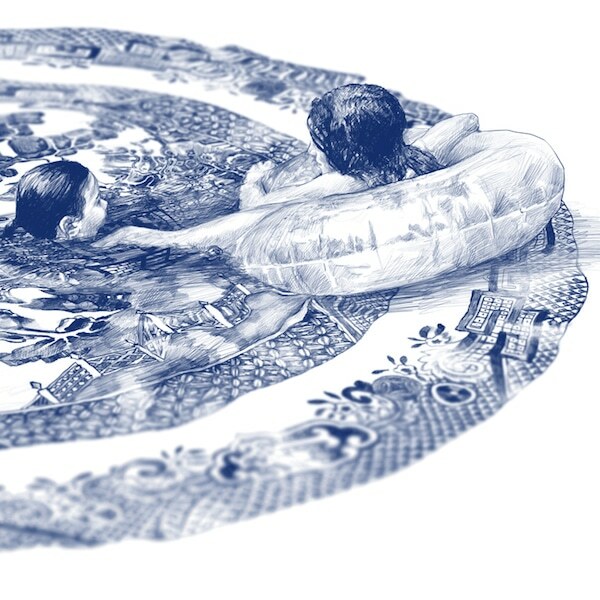 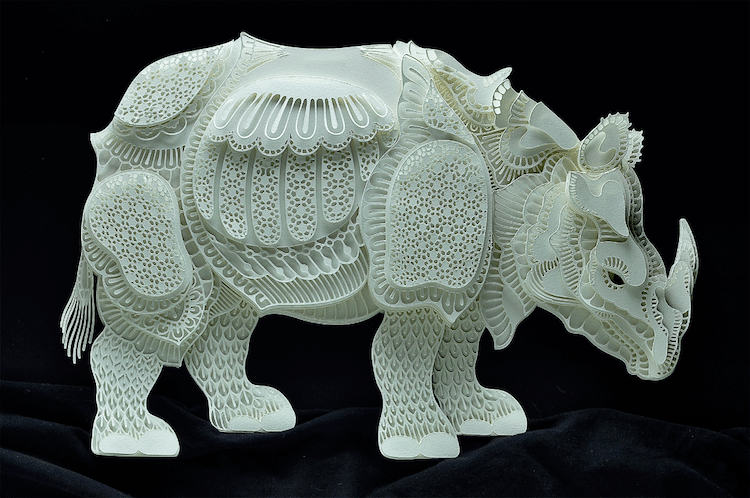 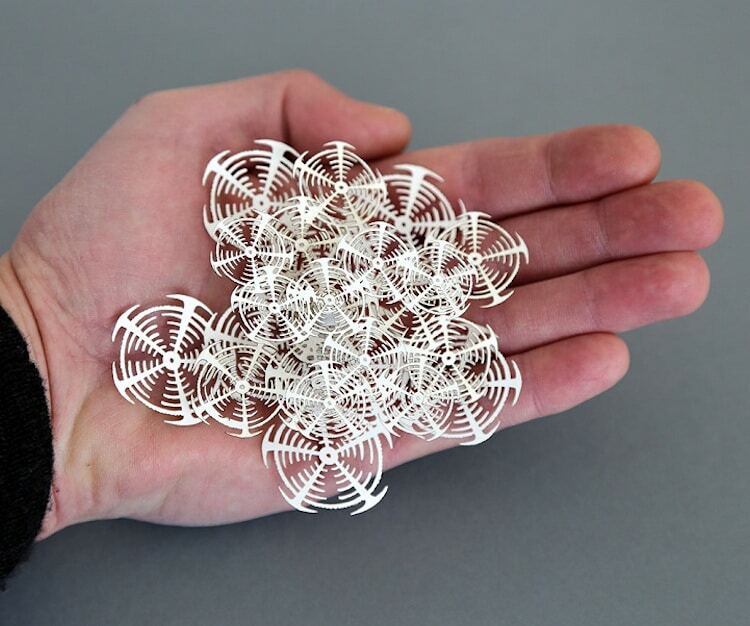 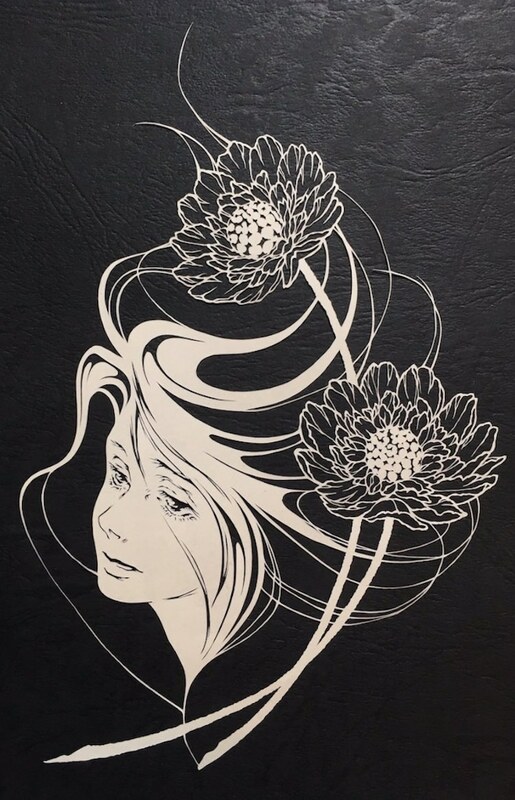 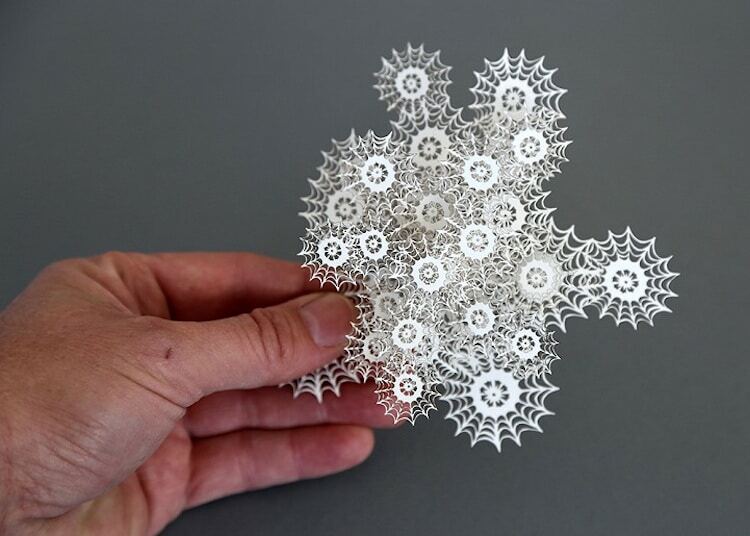 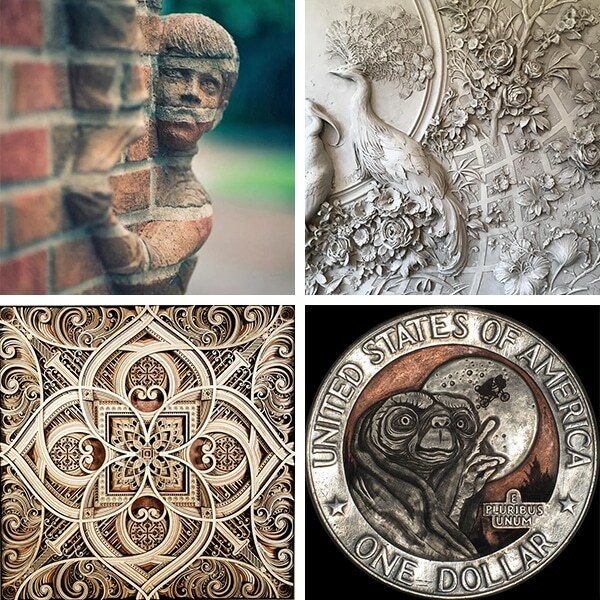 To achieve this intricate aesthetic, Ken employs an X-ACTO knife on Ehime paper. 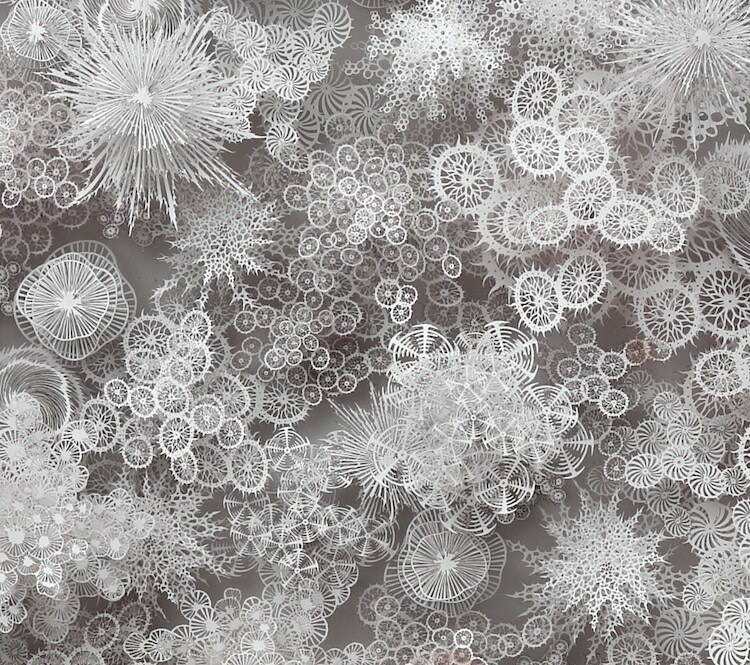 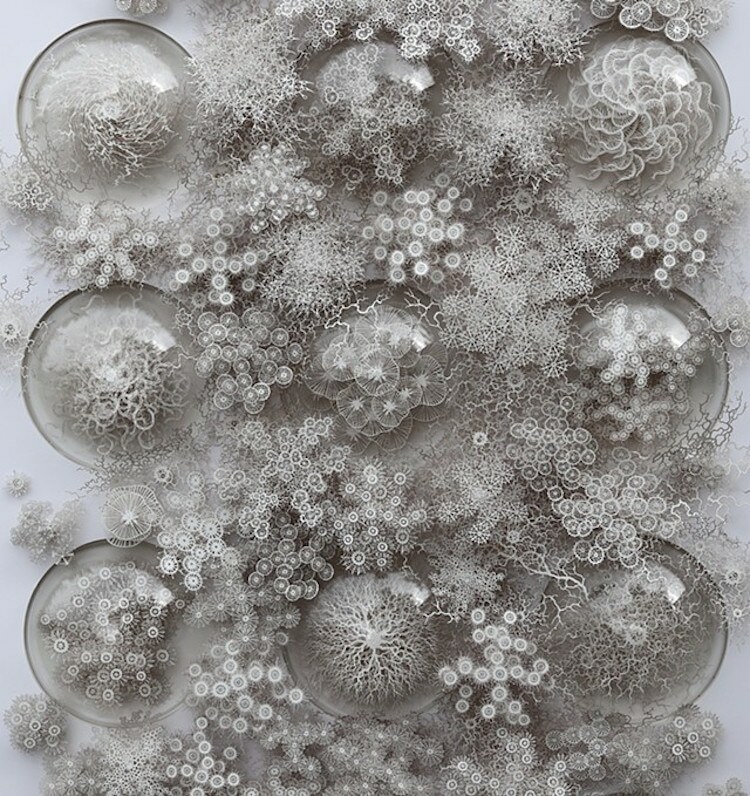 Known for his peculiar paper microorganisms, Anglo-Irish artist Rogan Brown uses “the prism of the imagination” to create his eye-opening works of art. 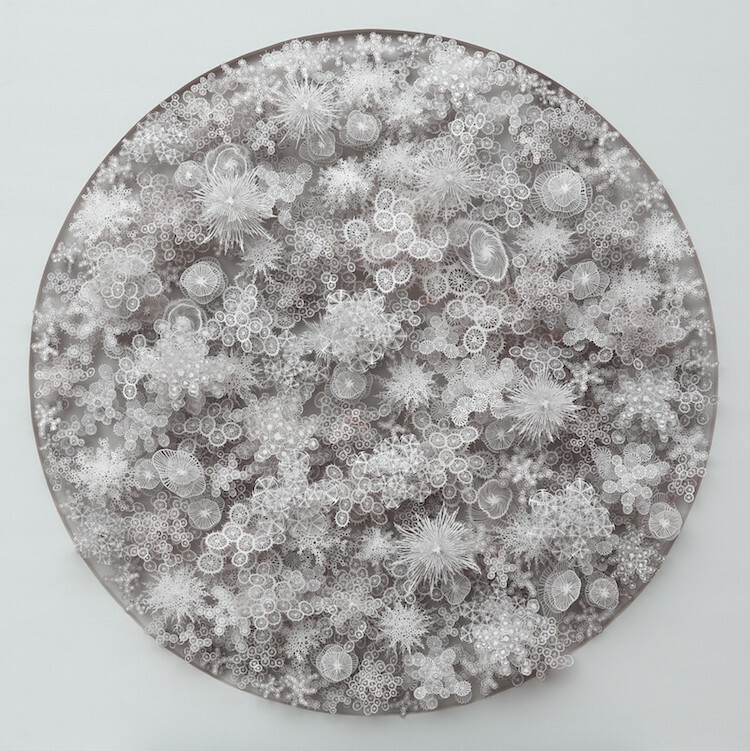 Featuring both hand and laser-cut incisions, his unique pieces are made with an impressive attention to detail, and showcase Brown’s main sources of inspiration: scientific drawing and model making. 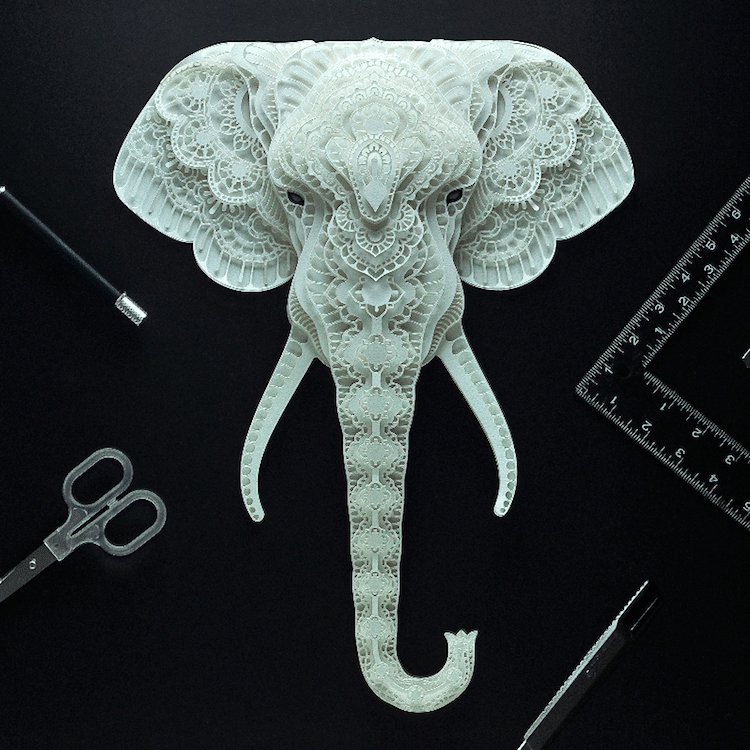 Philippines-based artist Patrick Cabral creates 3-dimensional paper portraits of endangered animals. 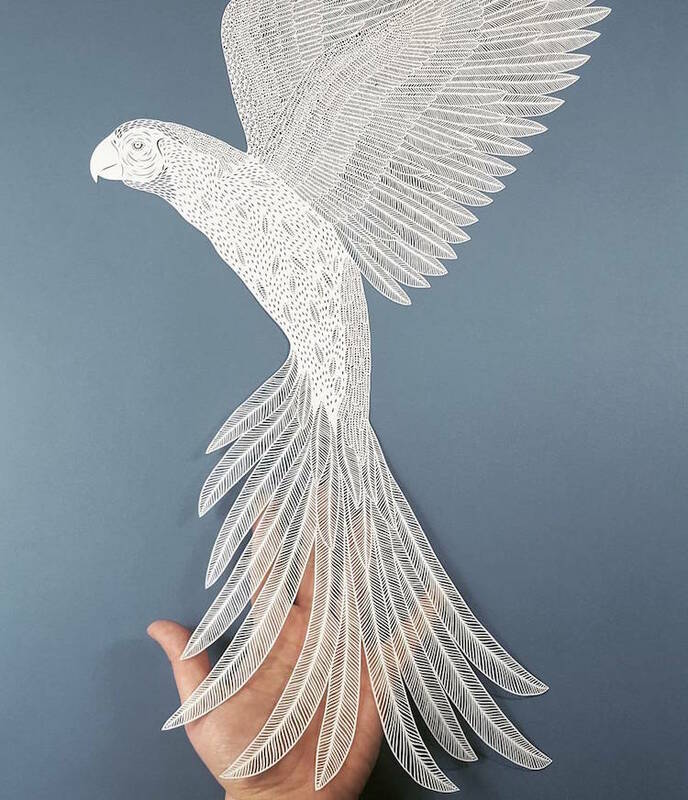 Featuring layers of lace-inspired, ornately cut paper, the elaborate busts showcase Cabral’s stylized interpretations of the beautiful creatures. 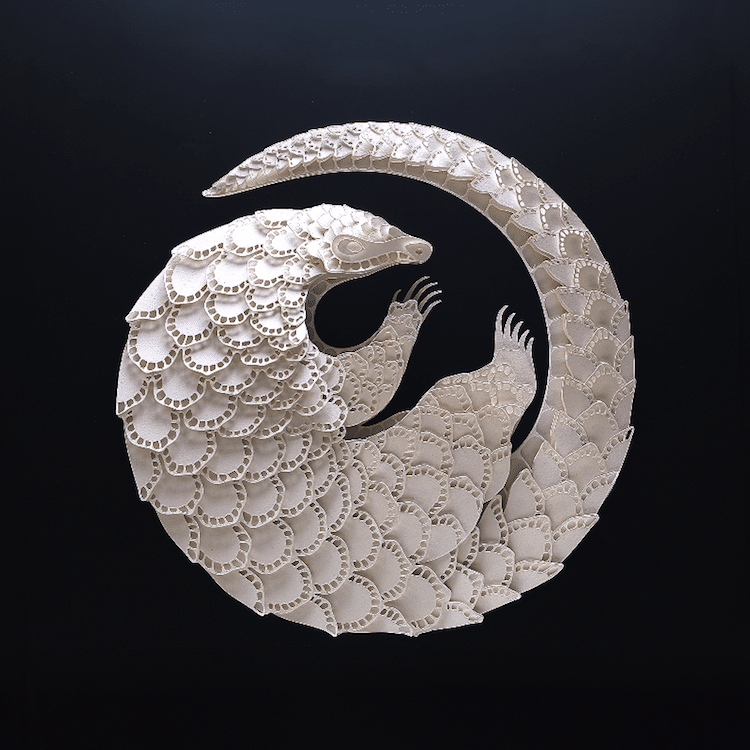 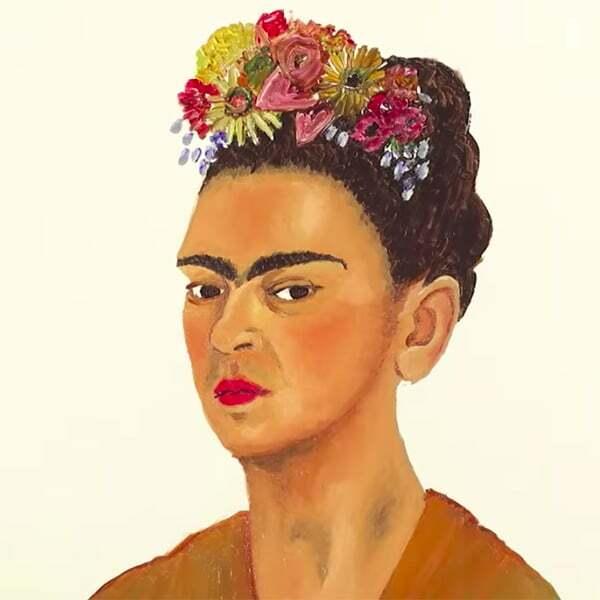 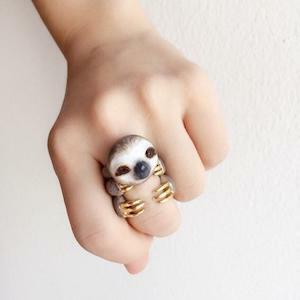 Through this unique approach to animal portraiture, the artist highlights both the capabilities of the craft and its ability to convey deeper meanings. 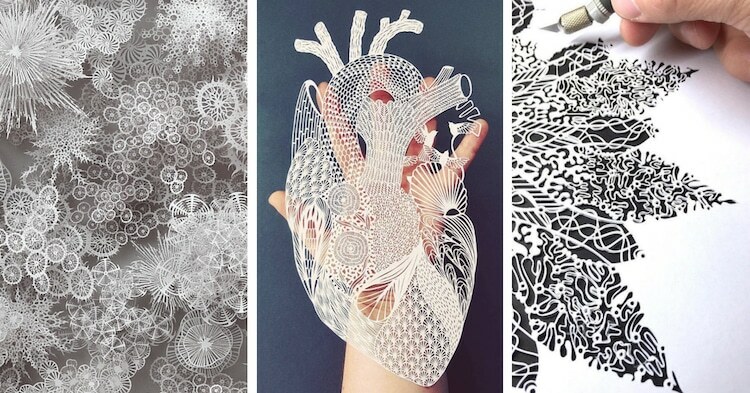 Inspired by these paper cutting masters?